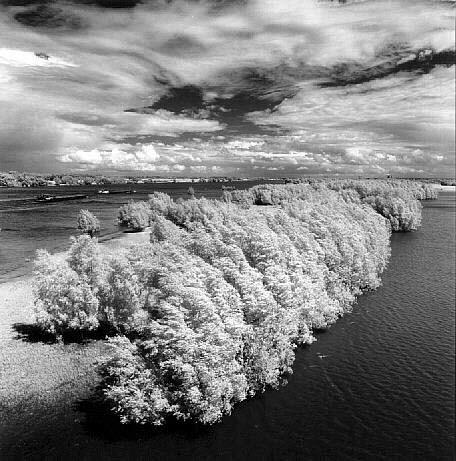 Description Wind, Clouds and River, 1999. Upstream View of the River Waal from the bridge at Ewijk. The whirling clouds of the spring storms are emphasized by the use of a film extremely sensitive to the red end of the spectrum. Negative 6x6 cm, Konica750 rollfilm.